I've made no secret of the fact that C is massive bookworm. He loves to read, well, have us read to him! He has an impressive collection of books. 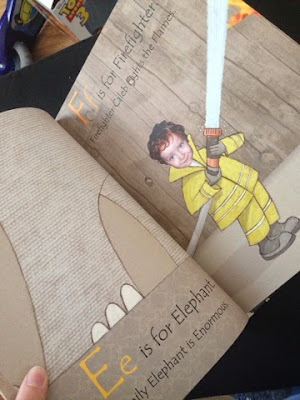 I love personalised items so when we were offered the opportunity to review one of itsyourstory's new Personalised Alphabet Books of course I said yes! This book makes your child the star. All you need to do is upload their photo and insert their name and itsyourstory do the rest. 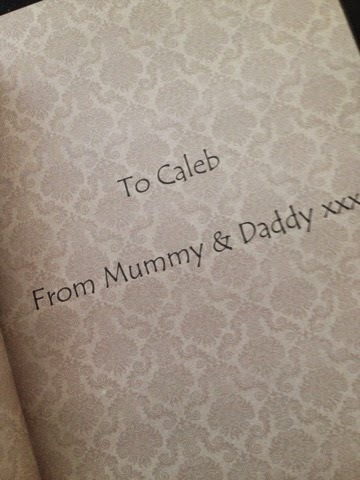 I was able to put a personalised message at the front too which was really cute, especially if you are sending the book as a gift. As it's an alphabet book, obviously each page has a letter accompanied by a sentence. Half of these have your child's photo incorporated in it. C thought this was so cool! He loved the illustrations too. 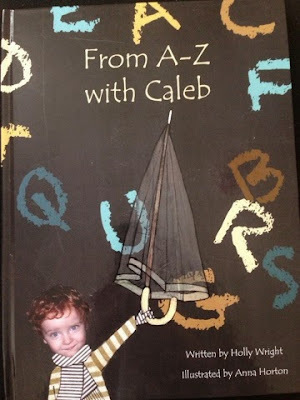 C is at the age where he is learning new words every day and I've found that this book has really helped with his vocabulary. The book is suitable for children aged 2-5 and you can purchase it is paperback (£17.50) or hardback (£20.00). You can find out more at the itsyourstory website. You can also find them on Facebook and Twitter.